Tonya was born and reared in Nashville, and her extended family has always been very close. Her favorite childhood memories are from weekends at her granny’s house where the extended family gathered for cookouts. She grew up fishing in the summer with her parents and grandparents, a tradition Tonya has continued with her own children—daughters Montisha, 17, Marquesha, 14, and son Timothy, 12. The family is also avid sports fans. College baskeball and Titans football are their favorites. Tonya was only 18 years old when Montisha was born, and her focus since then has been to provide for her children. Working full‐time jobs and caring for small children made continuing her education a challenge for Tonya. While she worked on her GED over the years, Tonya’s motivation to earn it increased in 2011 when Montisha went to high school and Tonya found a stable job at the Starbucks in Nashville’s downtown DoubleTree Hotel. “My goal was to get my GED before Montisha graduated in May 2015,” Tonya explains. She achieved her goal in October 2014 and says that Montisha is nervous that Tonya will now be following her to college. Tonya hopes that’s the case! 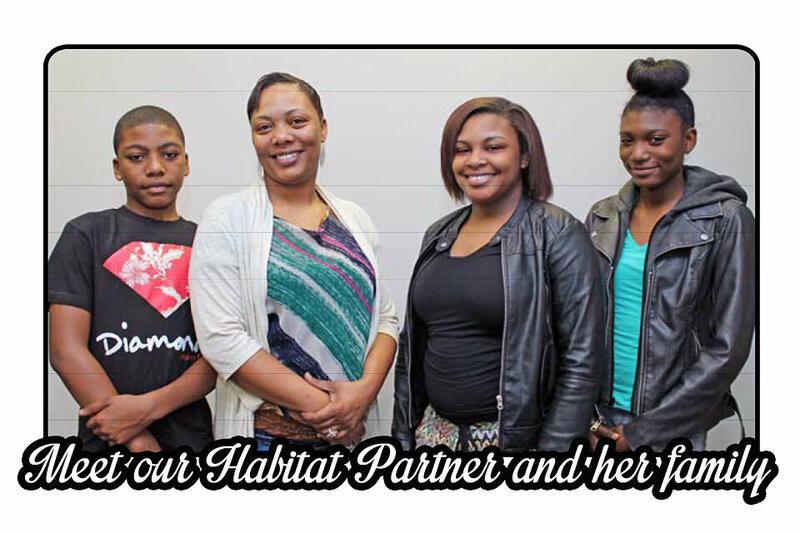 While her short‐term goal is to complete the Habitat program and purchase a home for her family, Tonya plans to go back to school shortly thereafter to study physical therapy.